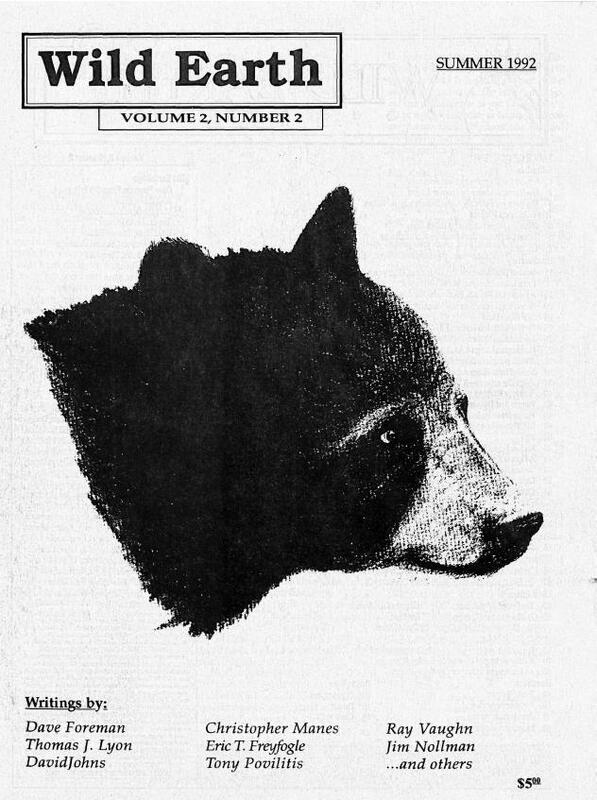 Intended as yet another instrument for attacking anthropocentric ideologies and voracious agricultural/industrial civilizations, the journal Wild Earth was published by the Earth First! movement between 1991–2004. Foreman, Dave, ed., Wild Earth 2, no. 2 (Summer 1992). Republished by the Environment & Society Portal, Multimedia Library. http://www.environmentandsociety.org/node/5677. Boardman, Robert. The International Politics of Bird Conservation: Biodiversity, Regionalism and Global Governance. Cheltenham: Edward Elgar, 2006.